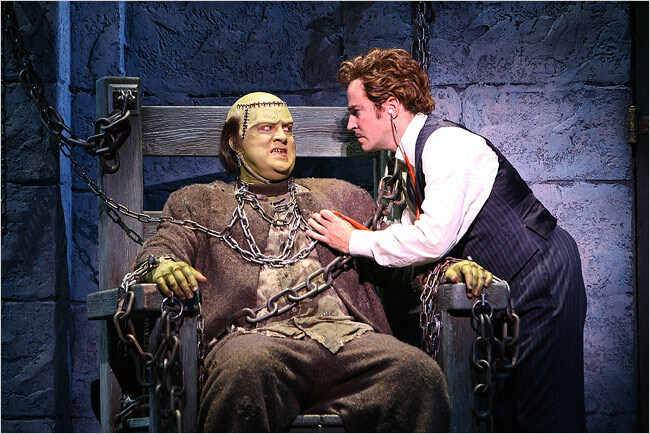 Roger Bart (You’re a Good Man Charlie Brown, The Producers) and Shuler Hensley (Oklahoma!, Tarzan) will reprise their Broadway roles as Young Frankenstein and his Monster, in the national tour of the musical. The cast will also include Cory English (Igor), Brad Oscar (Inspector Kemp/Blind Hermit), Beth Curry (Elizabeth), Joanna Glushak (Frau Blucher) and Anne Horak (Inga). Written by three-time Tony Award winner Mel Brooks and three-time Tony Award winner Meehan, and directed by Susan Stroman who has five Tonys under her belt, Young Frankenstein was nominated for 3 Tony awards and ran on Broadway for 485 performances.